When Japanese welcome visitors, have meals, or take a rest and relax, they often have Japanese green tea. Fresh color of green with bitter taste and a bit of sweet accent, its delicate taste have been loved by Japanese for over 1000 years. Having tea is healthy and brings peaceful calm moment as known as 「Sadou」 Japanese tea ceremony, so now a days more people in the world enjoy Japanese tea. 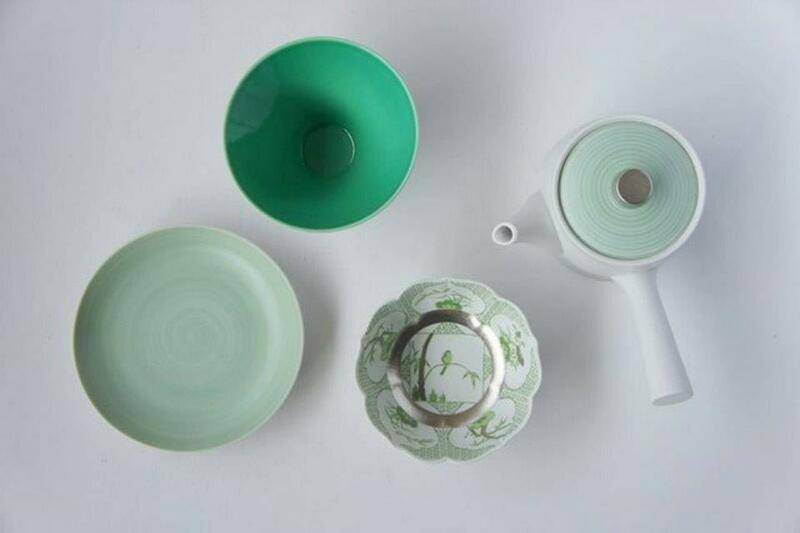 In JAPAN TEA line, the relaxing color of fresh green spreads its pure peaceful shower on your dining table. 2 different Japanese green in this collection line. Clear green made with 「Kochi method’ the traditional technique of creating little glassy pattern by controlling the temperature of the kiln and the plates. Pearl green made with our original secret paint.Simple, but new Arita porcelain will brighten this upcoming spring season. Wishing for your good fortune, auspicious lucky motifs are designed in this series. Auspicious motifs include flowers, grasses, water, waves, and animals that have been the typical traditional motifs for Arita porcelain for years. Our products provide the perfect gift as congratulatory gifts.